"Glimmers of Elena Ferrante’s softer side." Contributing editor Leigh Kinch-Pedrosa reviews The Pink House, the new collection by Montreal writer Licia Canton. While the Miron biography is a considerable assessment of the one of the great figures of nationalist Quebec, the publication this month of a new novel by Catherine Mavrikakis is an event, too, and one of the surest signs of vitality among a younger generation of Quebec writers. And then there's Perrine Leblanc, aged 31. 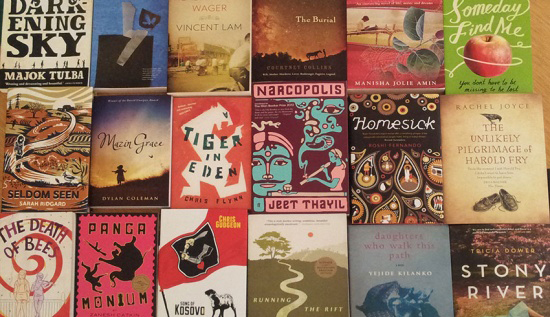 The Commonwealth Foundation has announced shortlists for the 2013 Commonwealth Book Prize and Commonwealth Short Story Prize. Part of Commonwealth Writers, the prizes unearth, develop and promote the best new writing from across the Commonwealth, developing literary connections worldwide.